Behind closed doors . . . In the summer of 1996, Jeanne Sinclair, a St. John’s socialite, is getting to know her biological mother, Hannah West, whom she meets for the first time in over thirty years in the rural community of Falcon Cove, Newfoundland. Mother and daughter have in common their devotion to Charles Sinclair, a wealthy businessman, recently deceased. Jeanne’s life becomes more complicated with the arrival of Kevin Gillis, a land developer from Halifax who is determined to avenge the treatment of his father, an employee of Sinclair in the 1940s. As the summer unfolds, Jeanne and Kevin find their loyalty tested by a growing attraction to one another and the discovery of new and intriguing Sinclair family secrets. 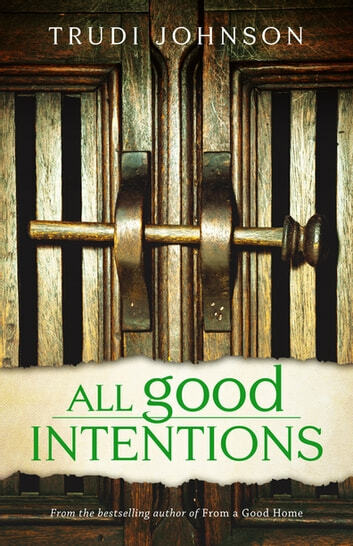 All Good Intentions continues the fascinating saga of the Sinclair family of St. John’s, begun by Trudi Johnson to critical acclaim with her first book, From a Good Home. 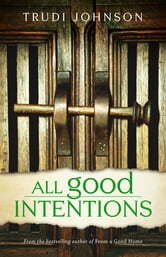 I enjoyed Trudi Johnson's first book and looked forward to the sequel. My waiting was not in vain! Her stories have more characters than most books I have read. But somehow I feel like I have a great group of kind and intelligent friends in Newfoundland -- though I have never been there! The list of characters at the front of this book helped refresh my memory of details from the first.Johnson's writing kept me turning pages til the end. I look forward to the third book.